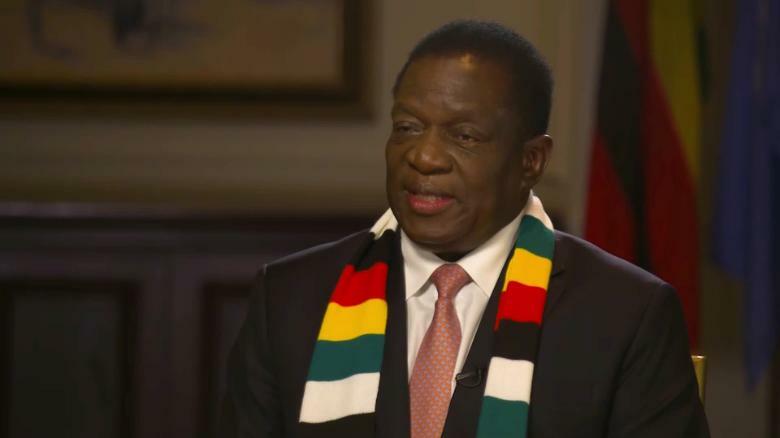 Harare, Zimbabwe (CNN) In the wake of violent protests across Zimbabwe, President Emmerson Mnangagwa has announced he will skip the World Economic Forum in Davos, Switzerland, this week. Three days of protests broke out after Mnangagwa announced a 150% increase in fuel prices last week. He said that was meant to ease the impact of months of fuel shortages. “The first priority is to get Zimbabwe calm, stable and working again,” Mnangagwa added in his Sunday tweet. It’s unclear how many people in Zimbabwe actually received the message on Twitter, since the country remains without access to social media after the government this week ordered the country’s biggest mobile operator to shut down service. A presidential spokesman said Saturday the shutdown was meant to limit access to sites like WhatsApp, Twitter and Facebook, which protesters were using to coordinate demonstrations. Security forces shot five people dead in the capital city of Harare on Wednesday and wounded another 25 in Harare. Human rights organizations blamed the police and the army for the violence. But on Saturday Zimbabwe’s security forces placed the blame on “rogue elements” who they said had stolen army uniforms. “The response so far is just a foretaste of things to come,” Charamba added. Mnangagwa joins a growing list of world leaders who will not be attending the forum. US President Donald Trump decided the US delegation would remain at home, and British Prime Minister Theresa May canceled her visit to focus on the UK’s Brexit plan. French President Emmanuel Macron — who, like Mnangagwa, is trying to quell violent street protests — is also skipping the forum, as are Chinese President Xi Jinping and Indian Prime Minister Narendra Modi.